(April 10): Summer may be a few months away but oil investors are already getting their hopes up that American drivers will do their part to rebalance the market. Hedge funds increased bets on higher West Texas Intermediate crude prices for the first time in six weeks, shrugging off rising US supplies, as the coming driving season is expected to help ease the glut. Their wagers on more expensive gasoline jumped the most since last year, US Commodity Futures Trading Commission data show. US fuel producers typically boost crude processing at this time of year as they prepare for the summer surge in demand. In a sign that they’ve already started, a government report showed refineries operating at the highest rate in about three months. Foreign refiners are also developing a taste for American barrels. Crude exports rose to a record in February as China displaced Canada as the biggest customer, Census Bureau data show. "As refinery utilization picks up, and if crude exports to Asia remain high, crude supplies will start to deplete," Thomas Finlon, director of Energy Analytics Group LLC in Wellington, Florida, said by telephone. "The market is focused on where the market is heading, not where it’s been, and crude supplies are going to be whittled down." Money managers’ WTI net-long position, or the difference between bets on a price increase and wagers on a drop, climbed 9.2 percent in the week ended April 4, after tumbling 41 percent in the prior five weeks, according to the CFTC. Net bullish bets on gasoline climbed 59 percent, the biggest increase since December. Gasoline and diesel producers used 90.8 percent of their crude-processing capacity in the week ended March 31, the most since Jan 6, according to the Energy Information Administration. Meanwhile, gasoline inventories have fallen almost 8 percent since mid-February, to 239.1 million barrels. "Bigger-than-expected draws in gasoline stocks help explain the big gain in gasoline net length," Tim Evans, an energy analyst at Citi Futures Perspective in New York, said by phone. "It probably helped boost interest in WTI." 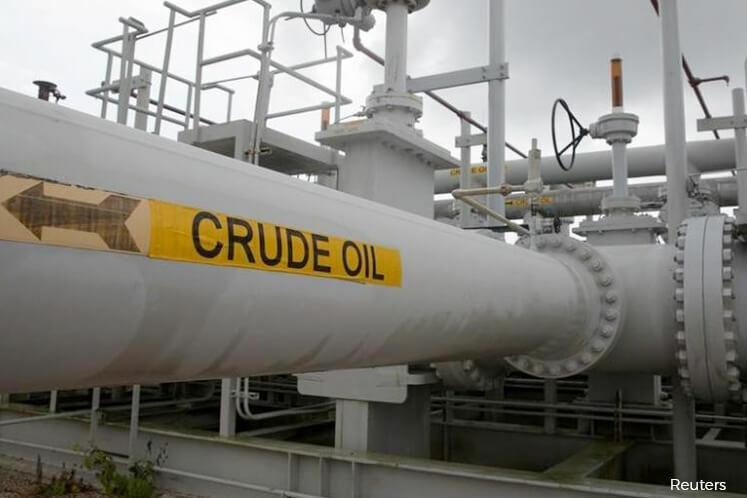 Oil futures touched an 18-month high on the first day of trading this year as an accord between the Organization of Petroleum Exporting Countries and 11 other producers to cut output for six months came into effect. Six members of OPEC and Oman back extending production curbs beyond June, with Saudi Arabia and Kuwait saying oil stockpiles need to fall to the five-year average. The outlook for an extension of the accord has also helped renew optimism that prices will rebound, according to Michael Lynch, president of Strategic Energy & Economic Research in Winchester, Massachusetts. "The oil bears were in retreat because OPEC appears to be complying pretty well to the quota and the likelihood that the cuts will be extended," Lynch said by phone. The net-long position in WTI rose by 22,415 futures and options to 267,030. Longs advanced 2.3 percent, while shorts retreated 12 percent. WTI rose 5.5 percent to $51.03 a barrel in the report week. The U.S. benchmark crude was trading at $52.37, up 0.3 percent, at 12:41 p.m. Singapore time on Monday. Gasoline futures increased 5.3 percent to US$1.7217 a gallon in the report period. The May contract was trading at US$1.7467 on Monday, extending gains from the highest close for front-month prices since August 2015. "Gasoline is a safe place to hang your hat as summer approaches," Finlon said. "Crude supplies will fall as utilization ramps up to meet gasoline demand."